Cervecería Averno, a local brewpub had it’s official opening and they needed to spread the word. I was in charge of creating a strategy to increase awareness of the event. 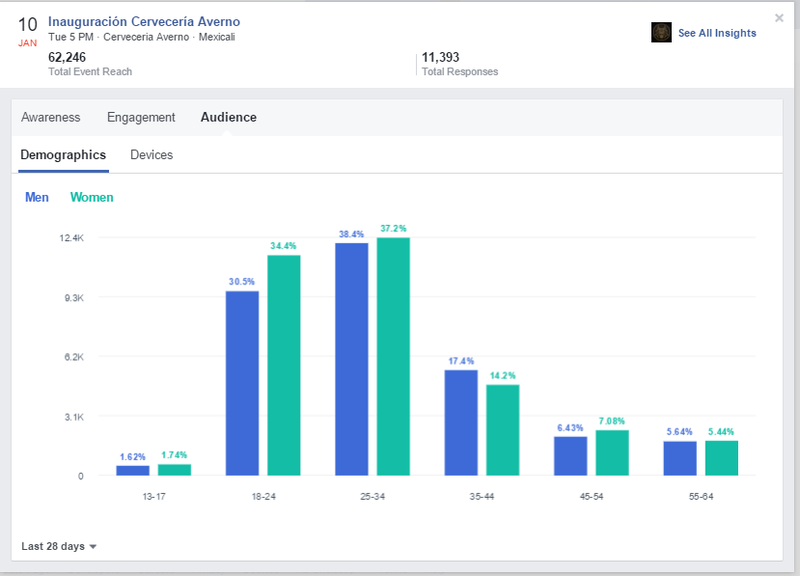 In order to reach their target audience I focused my strategy using three main tools: Facebook Ads, Content Management and a Giveaway Contest. I created the facebook event, designed optimized graphic content relevant to the event and published it daily. Set up a Facebook Ads campaign and ran a giveaway contest. The final result was a well engaged event page that reached a big audience which remained active until the opening day. Tools: Facebook Power Editor, Facebook Event Creator, Adobe Photoshop, Canon DSLR. Total Event Reach, mostly organic. Event had great engagement rates.